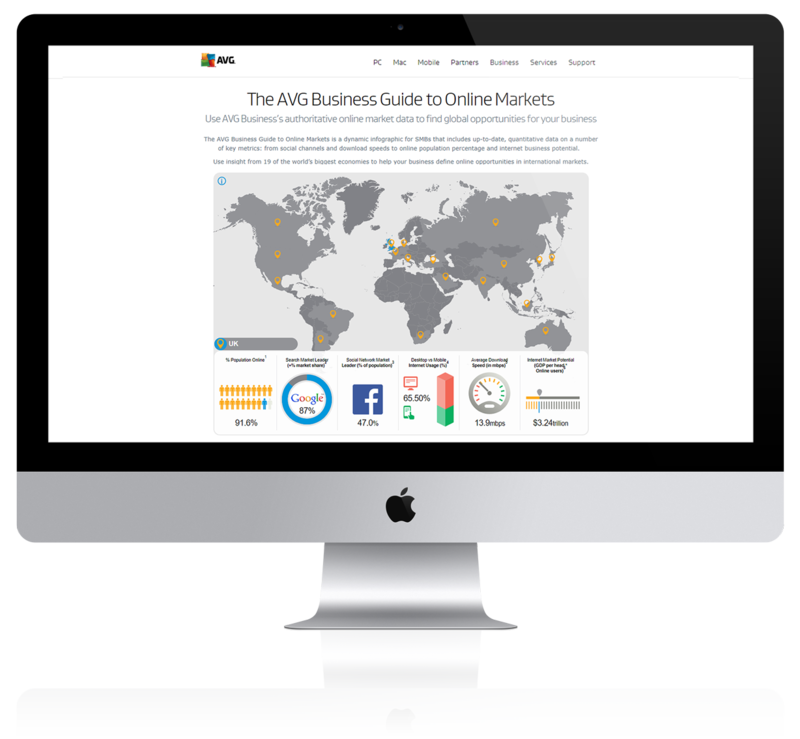 AVG is known across the internet for their antivirus products. 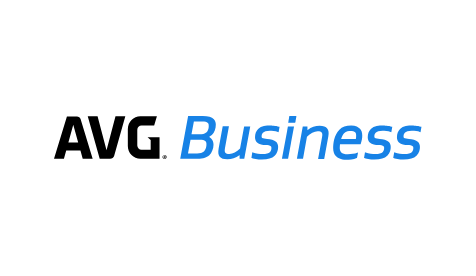 They have 172 million active users around the world and wanted to increase awareness of their suite of products for small businesses. We were asked to come up with a strategy that would lead to positive write-ups for the brand, encourage a load of clicks from small business owners using organic search, and improve their ranking against competitors for popular keywords. We took a strategic approach to identify opportunities early on. Our planning stage involved technical consultancy, keyword research and site optimisation to make sure the website was being picked up in search results. 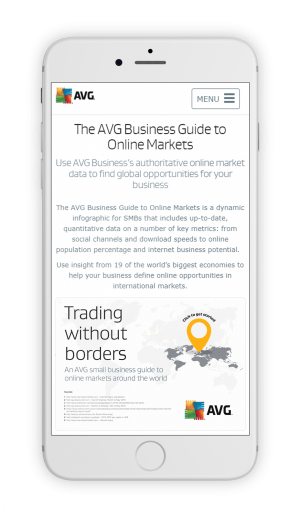 We then created a toolkit of free resources aimed at entrepreneurs – everything from ebooks on digital security topics, to a security benchmarking tool and even a unique interactive graphic called Trading Without Borders, which shines a light on the differences between ecommerce features in various international markets. We pushed the on-site content out into the world using an effective outreach strategy to reach the people who needed to read it the most.